In the world of organized crime, stolen art is often used by criminals as collateral security for their loans, sometimes to be resold, or to extort a ransom from the original owner (“artnapping”). Estimates show that throughout the years, only 5 to 10% of all stolen art pieces around the world have ever been retrieved. 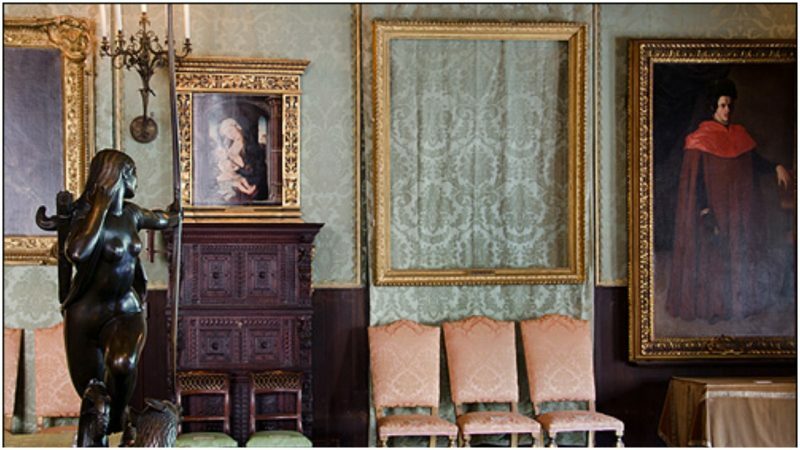 The largest value art theft in history happened in the early hours of March 18, 1990, at the Isabella Stewart Gardner Museum in Boston, when thieves managed to steal thirteen works of art valued at more than $500 million. These stolen artworks were part of the permanent exhibition of the museum, and they were initially purchased by Isabella Stewart Gardner (1840–1924) – a notable American art collector, philanthropist, and patron of the arts. Gardner and her husband started to collect art in the late 1890s and soon made a huge collection of paintings, statues, tapestries, photographs, silver, ceramics and manuscripts, and architectural elements such as doors, stained glass, and mantelpieces. The collection grew so big that they needed a whole new museum building to house the art. The Gardner collection includes works by many European prominent artists. The theft began on Sunday morning, March 18, 1990. 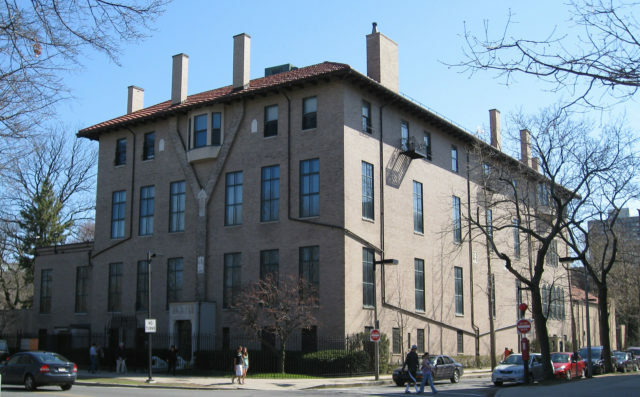 The thieves came with a red Dodge Daytona and parked near the side entrance of the Isabella Stewart Gardner Museum. Wearing fake police uniforms, they waited for at least an hour before they made their move. Inside the museum, there were only two guards. One of the guards, Richard Abath, made his usual patrol and came back to the front desk around 1 a.m where he and his colleague switched position. Some 25 minutes later, while his partner was on patrol, one of the two thieves, dressed as a police officer, pushed the buzzer at the entrance and informed Abarth that they’d received a report of a disturbance in the courtyard. They demanded to be let inside. Abath was aware that he shouldn’t let strangers in, but he wasn’t sure if this rule referred to police officers too. He decided to let the men in. According to Abath’s statement, when the thieves arrived in the security office, one of them told him that he looked suspicious and there was a warrant for his arrest. Abath was confused but he thought that it must be a misunderstanding and complied with being identified and then handcuffed. In a few moments, he realized something was wrong: the officers hadn’t frisked him before cuffing him and it had become clear that one of the officers had a fake mustache. After a few minutes, the second museum guard arrived and they handcuffed him also. Then the thieves told them that they weren’t actually arrested and that this was a robbery. The security guards were taken to the basement, handcuffed to the pipes, and wrapped with duct tape. Because the museum had motion detectors installed, authorities were able to reconstruct the movements of the thieves and the order of events. After they secured the guards in the basement, they first went into the Dutch Room and approached Rembrandt’s “Self-Portrait” (1629). A local alarm buzzed and they immediately smashed it. After they pulled the painting from the wall, they tried to take a wooden panel but were unable to remove it from the frame and decided to leave it. 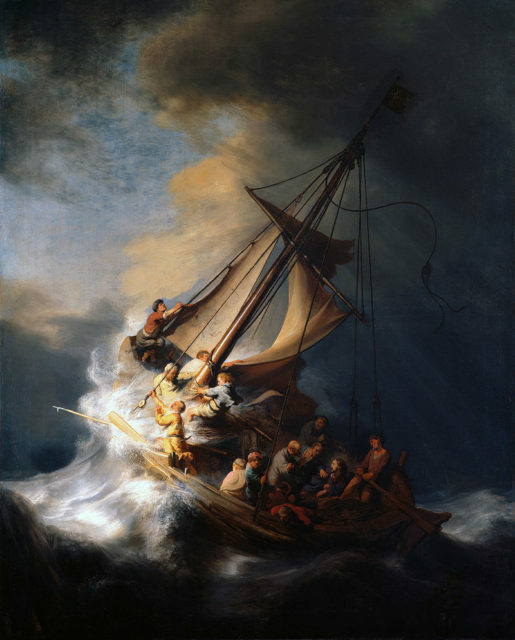 Next, they approached Rembrandt’s “The Storm on the Sea of Galilee” and cut it out of its frame. 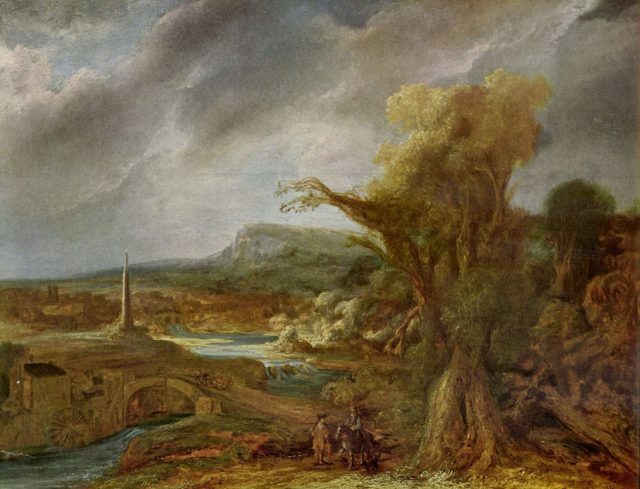 They took a few more pieces of art from the Dutch Room: Rembrandt’s “A Lady and Gentleman in Black;” Vermeer’s “The Concert“; Govaert Flinck’s “Landscape with an Obelisk,” as well as a Chinese bronze Gu vessel from the Shang Dynasty. Later, from another location in the museum, they stole five of Degas’ drawings and an eagle finial (because they probably thought it was made out of gold). Manet’s “Chez Tortoni”, that was hanging in the Blue room, was also stolen. The way it was taken is a mystery because records from the motion detector show that the only motion there was detected at 12:27 a.m. and again at 12:53 a.m.; before the thieves entered the museum and during Abath’s patrol. The frame from this painting was found on the security chief’s chair near the front desk. The whole operation lasted for 81 minutes and before they left, they went to the guards and told them: “You’ll be hearing from us in about a year.” They never heard from them again. At 8:15 a.m., a few hours after the thieves had left, police arrived on the scene of the crime and released the guards. The outcome of this huge robbery was terrible for the museum and for the world of art: thirteen stolen artworks with an estimated value of more than 500 million dollars. Its huge value made The Isabella Stewart Gardner Museum theft one of the biggest private property thefts in history. 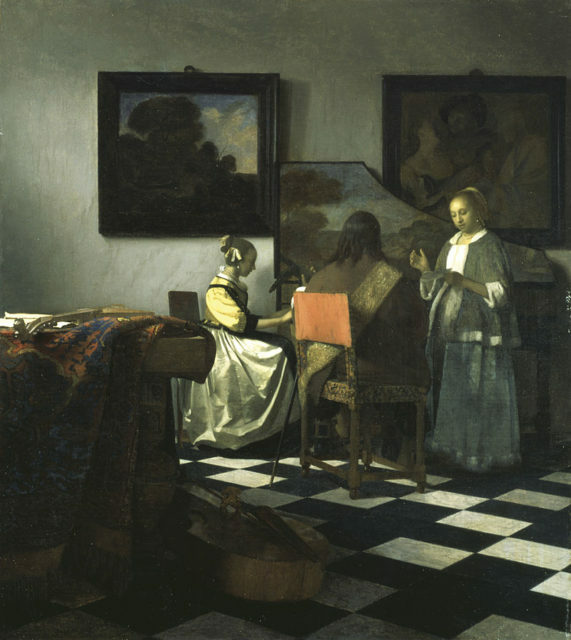 Although all of the stolen pieces of art are exquisite, one of the paintings, Vermeer’s “The Concert,” is very significant; it’s one of the first paintings that Gardner bought and also one of only 34 known Vermeer paintings in the world. “The Concert” is considered as the most valuable of any unrecovered stolen painting – its worth is estimated at $200 million. Another of the stolen paintings, “The Storm on the Sea of Galilee”, also has a special value; it’s Rembrandt’s only known seascape. Despite a full investigation was made and some clues were discovered, the case is still a mystery. From the information gathered by the FBI until now we know that the stolen artworks were moved to different places across the region several times and even offered for sale in Philadelphia in the early 2000s. It is believed that the culprits were part of a criminal organization based in the mid-Atlantic seaboard and New England. 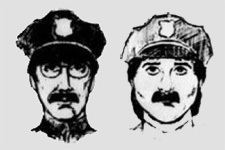 The FBI believes that they have identified two of the main suspects but both of them are now dead. One more person, a gang member from Boston called Bobby Donati, was possibly working together with the suspects. He was murdered in 1991 in a gang shootout. Most of the evidence gathered by the FBI points to a gangster from Hartford, Connecticut, called Robert Gentile, who it is thought knows where the paintings are hidden. When he was approached he denied knowing anything. Since the initial investigation, no arrest has been made and not a single piece of art recovered. The museum still offers a $5 million dollar to anybody that possesses information about the location of the paintings. Today, the empty frames of the stolen pictures still hang on the walls of the museum. The management of the museum hopes that one day, the frames will be reunited with their former occupants.